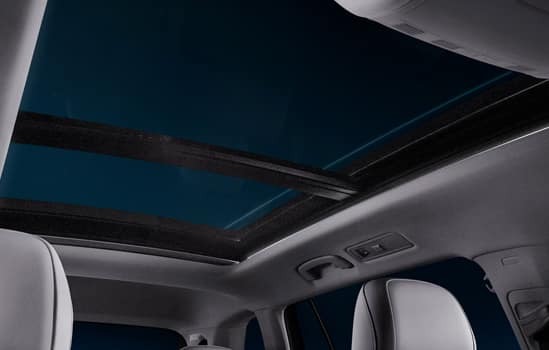 The available panoramic sunroof blends seamlessly into the cabin, letting in plenty of light as well as the outside world. At night, integrated ambient accent lighting adds a distinct mood when interior lighting elements are on. 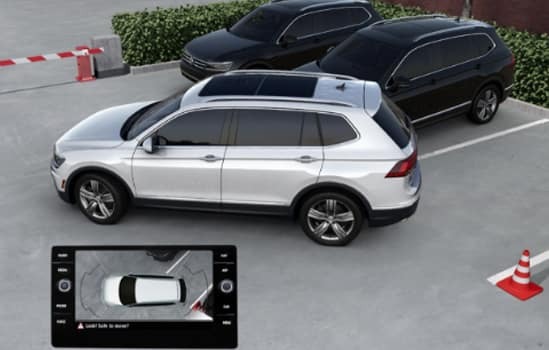 This available feature has a radar sensor to help alert you if a pedestrian is headed into the vehicle’s forward path. 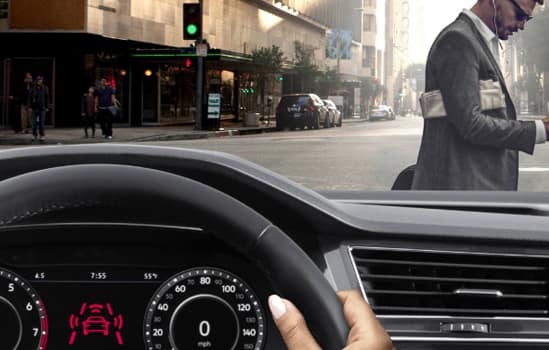 If the driver doesn’t respond adequately to the audible and visual warnings, the car can brake automatically with full force. Available Park Distance Control (Park Pilot) has sensors that can help you back out of or drive into a parking spot. Audible signals and the optical parking system on the display indicate how much space you have behind and, on some vehicles, in front of the vehicle when parking. If you get too close, the system beeps as a warning. 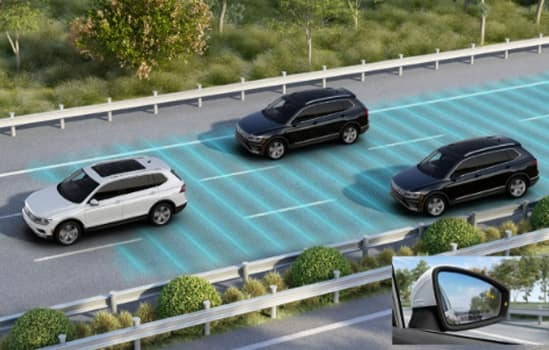 Maneuver Braking (included in Park Pilot) can apply emergency braking force automatically to help mitigate and in best case prevent collisions with stationary obstacles while you maneuver the vehicle in reverse gear. 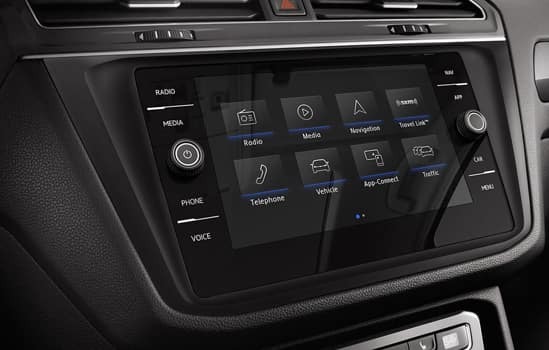 Besides looking great, the available sleep glass display helps make the map more prominent, while dynamic route guidance assists you with turn-by-turn information. In Snow Mode, the engine can upshift earlier, which helps keep it in a lower RPM range and helps prevent too much power from going to the wheels too quickly. 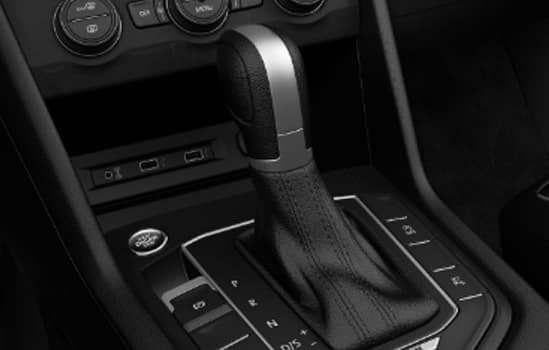 Having eight speeds can help improve efficiency and performance. 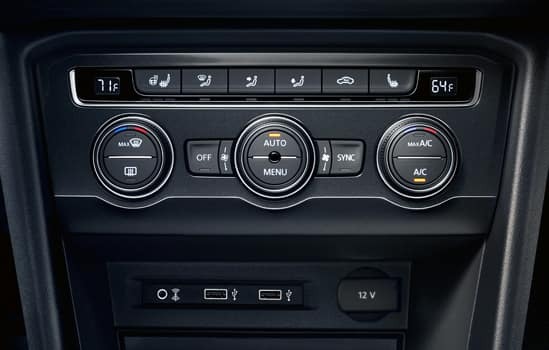 In Tiptronic® mode, you can shift manually and take control of your driving experience. Off-Road Mode can help maintain traction on challenging road surfaces. On steep grades, it can activate Hill Descent Control to help keep a safe speed as you descend. Thank you for shopping at Volkswagen of Palm Springs. We've built a car buying process designed around you to save you time and money. If we don’t have exactly what you’re looking for, we'll help you find the right vehicle for your lifestyle. It’s that simple. Call us today at 760.770.1100. 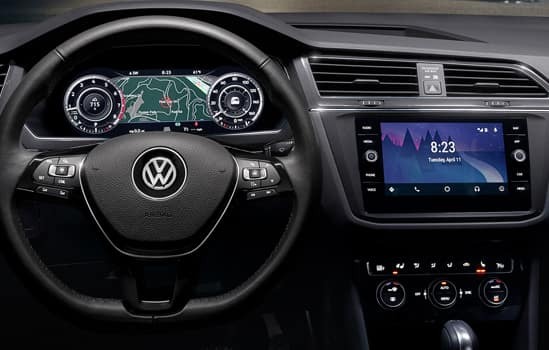 2019 Volkswagen Tiguan S 22/29 City/Highway MPG DISCLAIMER: Dealer shall in no way be held liable for any errors or omissions to be found on these web pages. All prices are plus any applicable state taxes and fees. Prices are subject to change without notice. All vehicles are subject to prior sale. We will do our best to keep all information current and accurate however, the dealership should be contacted by phone, e-mail or in person for final pricing and availability. A dealer documentary service fee of up to $80 may be added to the sale price or capitalized cost. Vehicle may have dealer installed accessories for display purposes only, and may not be reflected in Selling Price. All current incentives listed are purchase only. See dealer for lease incentives. Call 760.770.1100 for more info! Thank you for shopping at Volkswagen of Palm Springs. We've built a car buying process designed around you to save you time and money. If we don’t have exactly what you’re looking for, we'll help you find the right vehicle for your lifestyle. It’s that simple. Call us today at 760.770.1100. 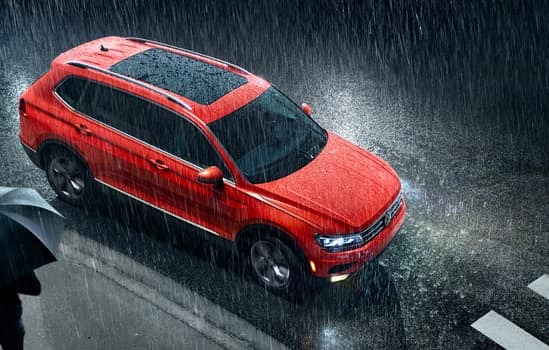 2018 Volkswagen Tiguan SEL 22/27 City/Highway MPG DISCLAIMER: Dealer shall in no way be held liable for any errors or omissions to be found on these web pages. All prices are plus any applicable state taxes and fees. Prices are subject to change without notice. All vehicles are subject to prior sale. We will do our best to keep all information current and accurate however, the dealership should be contacted by phone, e-mail or in person for final pricing and availability. A dealer documentary service fee of up to $80 may be added to the sale price or capitalized cost. Vehicle may have dealer installed accessories for display purposes only, and may not be reflected in Selling Price. All current incentives listed are purchase only. See dealer for lease incentives. Call 760.770.1100 for more info! Thank you for shopping at Volkswagen of Palm Springs. We've built a car buying process designed around you to save you time and money. If we don’t have exactly what you’re looking for, we'll help you find the right vehicle for your lifestyle. It’s that simple. Call us today at 760.770.1100. 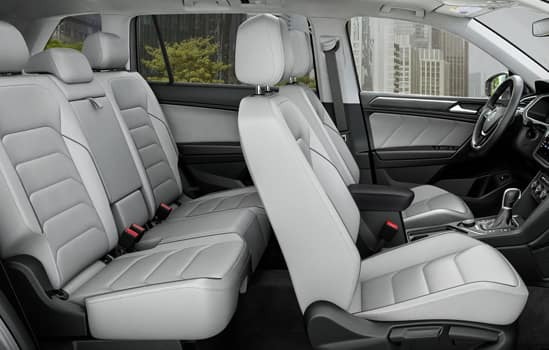 2018 Volkswagen Tiguan SEL 4Motion 21/27 City/Highway MPG AWD. DISCLAIMER: Dealer shall in no way be held liable for any errors or omissions to be found on these web pages. All prices are plus any applicable state taxes and fees. Prices are subject to change without notice. All vehicles are subject to prior sale. We will do our best to keep all information current and accurate however, the dealership should be contacted by phone, e-mail or in person for final pricing and availability. A dealer documentary service fee of up to $80 may be added to the sale price or capitalized cost. Vehicle may have dealer installed accessories for display purposes only, and may not be reflected in Selling Price. All current incentives listed are purchase only. See dealer for lease incentives. Call 760.770.1100 for more info! Thank you for shopping at Volkswagen of Palm Springs. We've built a car buying process designed around you to save you time and money. If we don’t have exactly what you’re looking for, we'll help you find the right vehicle for your lifestyle. It’s that simple. Call us today at 760.770.1100. 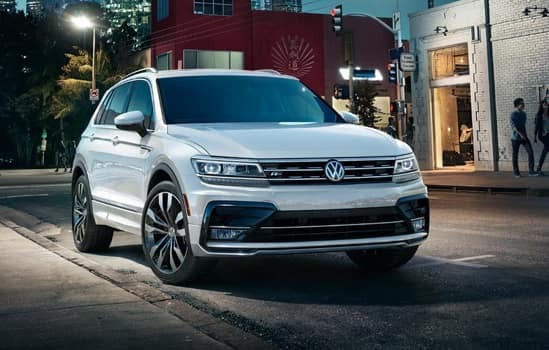 2019 Volkswagen Tiguan SEL 22/29 City/Highway MPG DISCLAIMER: Dealer shall in no way be held liable for any errors or omissions to be found on these web pages. All prices are plus any applicable state taxes and fees. Prices are subject to change without notice. All vehicles are subject to prior sale. We will do our best to keep all information current and accurate however, the dealership should be contacted by phone, e-mail or in person for final pricing and availability. A dealer documentary service fee of up to $80 may be added to the sale price or capitalized cost. Vehicle may have dealer installed accessories for display purposes only, and may not be reflected in Selling Price. All current incentives listed are purchase only. See dealer for lease incentives. Call 760.770.1100 for more info! Thank you for shopping at Volkswagen of Palm Springs. We've built a car buying process designed around you to save you time and money. If we don’t have exactly what you’re looking for, we'll help you find the right vehicle for your lifestyle. It’s that simple. Call us today at 760.770.1100. 2018 Volkswagen Tiguan SEL Premium 22/27 City/Highway MPG DISCLAIMER: Dealer shall in no way be held liable for any errors or omissions to be found on these web pages. All prices are plus any applicable state taxes and fees. Prices are subject to change without notice. All vehicles are subject to prior sale. We will do our best to keep all information current and accurate however, the dealership should be contacted by phone, e-mail or in person for final pricing and availability. A dealer documentary service fee of up to $80 may be added to the sale price or capitalized cost. Vehicle may have dealer installed accessories for display purposes only, and may not be reflected in Selling Price. All current incentives listed are purchase only. See dealer for lease incentives. Call 760.770.1100 for more info! Thank you for shopping at Volkswagen of Palm Springs. We've built a car buying process designed around you to save you time and money. If we don’t have exactly what you’re looking for, we'll help you find the right vehicle for your lifestyle. It’s that simple. Call us today at 760.770.1100. 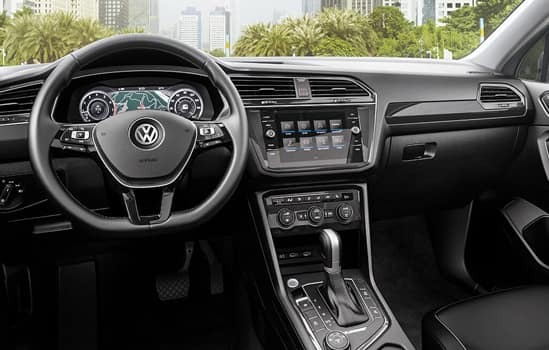 2019 Volkswagen Tiguan 2.0T SEL R-Line 22/29 City/Highway MPG DISCLAIMER: Dealer shall in no way be held liable for any errors or omissions to be found on these web pages. All prices are plus any applicable state taxes and fees. Prices are subject to change without notice. All vehicles are subject to prior sale. We will do our best to keep all information current and accurate however, the dealership should be contacted by phone, e-mail or in person for final pricing and availability. A dealer documentary service fee of up to $80 may be added to the sale price or capitalized cost. Vehicle may have dealer installed accessories for display purposes only, and may not be reflected in Selling Price. All current incentives listed are purchase only. See dealer for lease incentives. Call 760.770.1100 for more info! Thank you for shopping at Volkswagen of Palm Springs. We've built a car buying process designed around you to save you time and money. If we don’t have exactly what you’re looking for, we'll help you find the right vehicle for your lifestyle. It’s that simple. Call us today at 760.770.1100. 2018 Volkswagen Tiguan SEL Premium 4Motion 21/27 City/Highway MPG AWD. DISCLAIMER: Dealer shall in no way be held liable for any errors or omissions to be found on these web pages. All prices are plus any applicable state taxes and fees. Prices are subject to change without notice. All vehicles are subject to prior sale. We will do our best to keep all information current and accurate however, the dealership should be contacted by phone, e-mail or in person for final pricing and availability. A dealer documentary service fee of up to $80 may be added to the sale price or capitalized cost. Vehicle may have dealer installed accessories for display purposes only, and may not be reflected in Selling Price. All current incentives listed are purchase only. See dealer for lease incentives. Call 760.770.1100 for more info!